Amani, of Palestine, Winner of the $50 Microenterprise Fund (March 2019). Amani is a wonderful woman who tries her utmost to provide her family with a decent life. She is a 33-year-old mother of six adorable kids, living with her family in a village near Tulkarem, West Bank. She works in farming, plants different types of vegetables and sells to the markets. 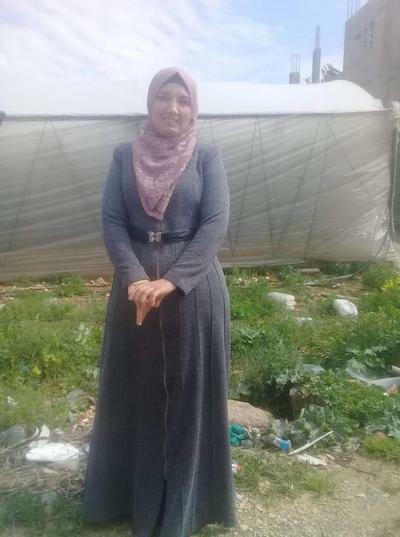 She went to Palestine for Credit and Development FATEN to request a loan to make repairs to the greenhouse and buy some seeds, fertilizers, and pesticide for the family. This will improve her work and enhance her family income. Congratulations to Amani of Palestine...!